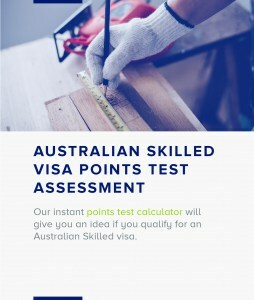 The online skilled migration points test (PR points Calculator) is a useful way to calculate your likely score in the Skilled Migration Points test in 2019. You would need to score a minimum of 65 points (as of 8 April 2018) however that is always not enough to be invited to apply. Book a consultation for a detailed assessment and increase your chances of success in the points test. Skilled Independent Subclass 189 - no sponsorship required. You must have an occupation on the Independent and Family Sponsored Occupations List. Check the Skilled Independent page for more details. Skilled Nominated Subclass 190 - requires nomination by a State or Territory Government. You must have an occupation on the State/Territory Nominated Occupations List. See the Skilled Nominated page for more details. Skilled Regional (Provisional) Subclass 489 - requires sponsorship by a relative living in a designated area or a state or territory government. For further details see the Skilled Regional Sponsored page. This is not a mandatory field, by providing your email you will receive our migration updates newsletter. 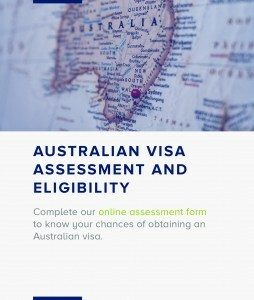 The pool mark for all General Skilled Migration (GSM) visa are 65 points (as of 8 April 2019). However, due to the competitive nature of these visas, a pool mark does not guarantee an invitation to apply. The invitation mark can and does fluctuate depending on the time of year, number of candidates for the nominated occupation and the current occupation ceiling. The above points test is for the 189 visa, 190 visa and the 489 visa. To ensure you have a competitive advantage over all other potential applicants please contact us for a consultation. The above skilled visa points test is provided as a guide only and may not be indicative of the points assigned by the Department of Home Affairs (DHA). At consultation, our GSM experts will ensure you claim the most points possible under current migration legislation, which could prove the difference between receiving an invitation and not.